Melania Trump is reportedly "miserable" in her new role as First Lady, where she faces increasing media scrutiny. “This life wasn’t her dream. It was Donald’s,” the stylist and friend of the pair, Phillip Bloch, told Us Weekly. He added that Ms Trump was "staying hidden more", in New York's Trump tower, where she has remained so their son Barron can go to school. After her husband entered office Ms Trump faced accusations—swiftly denied—that she planned to use her position to help launch "a broad-based commercial brand". On entering the White House one poll found she had the lowest favourability ratings of any modern First Lady. 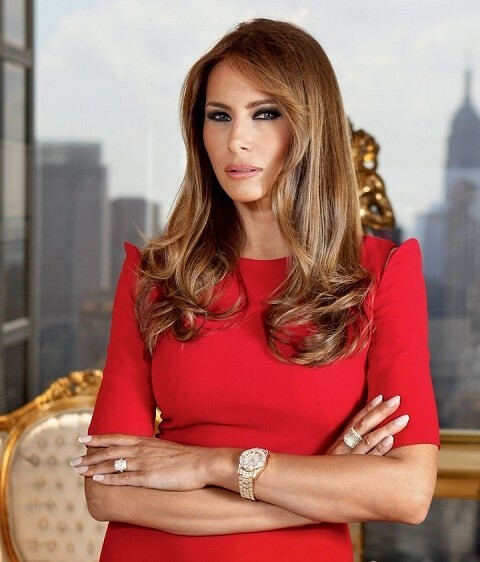 "Each First Lady takes on the role and makes it their own. That evolves over time,” former White House social secretary Ann Stock told the Washington Post.